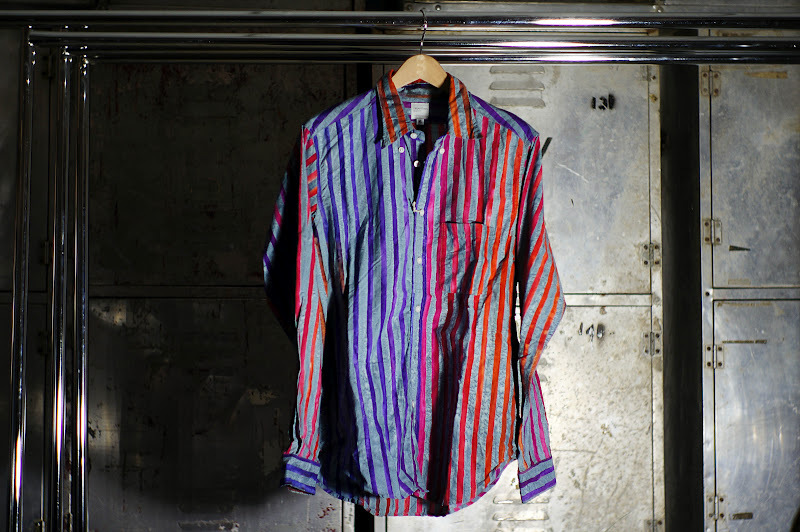 The Nepenthes New York SS12 "Loop on Back" shirt is now available. 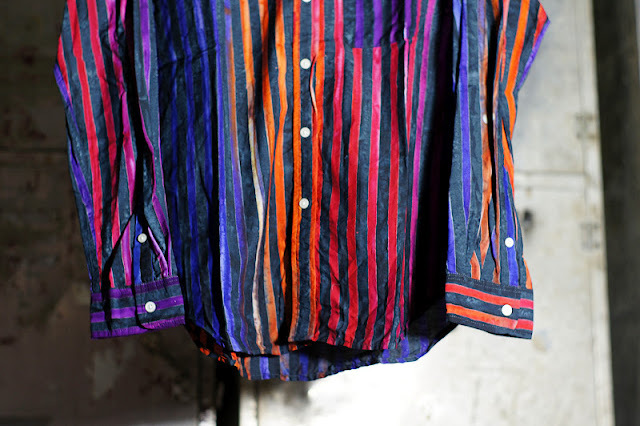 For this season, the shirt comes in three colorways. 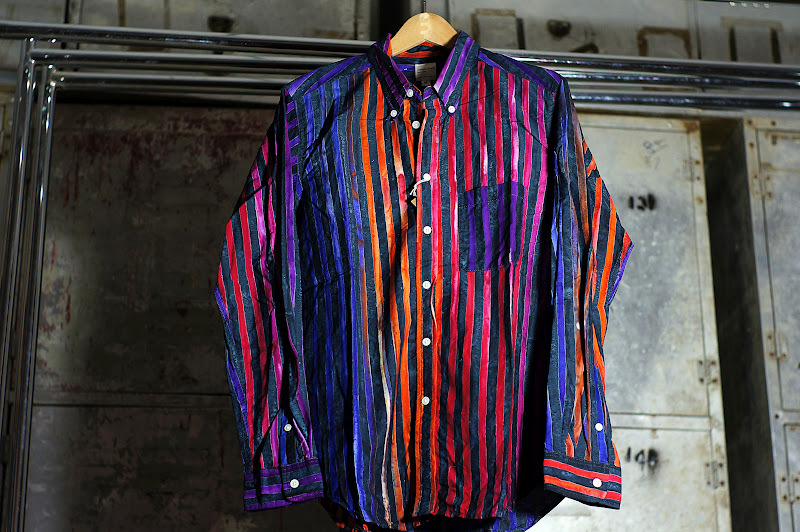 Made in New York of 100% cotton, the bold and vivid stripes that pulsate throughout the shirt are more akin to a painter's expressionistic stroke than that of an ordinary striped top. 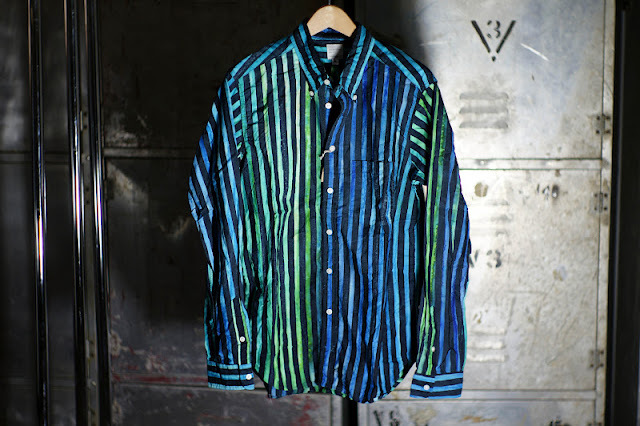 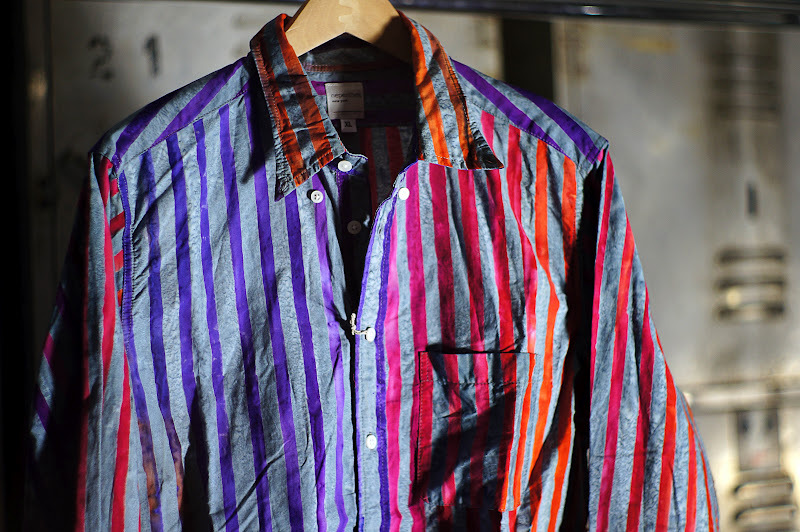 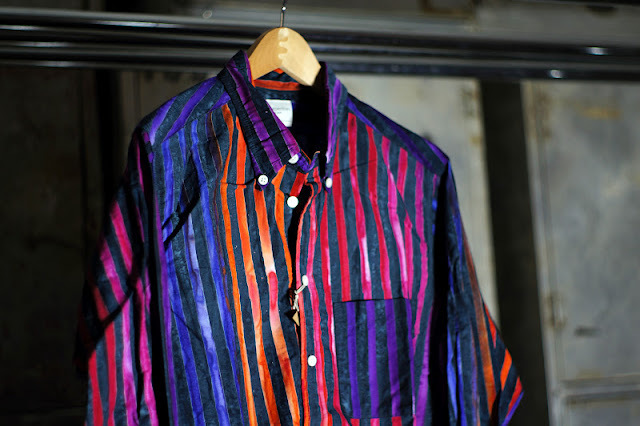 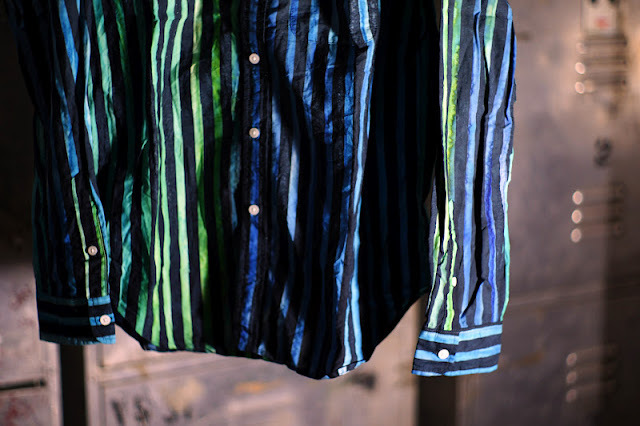 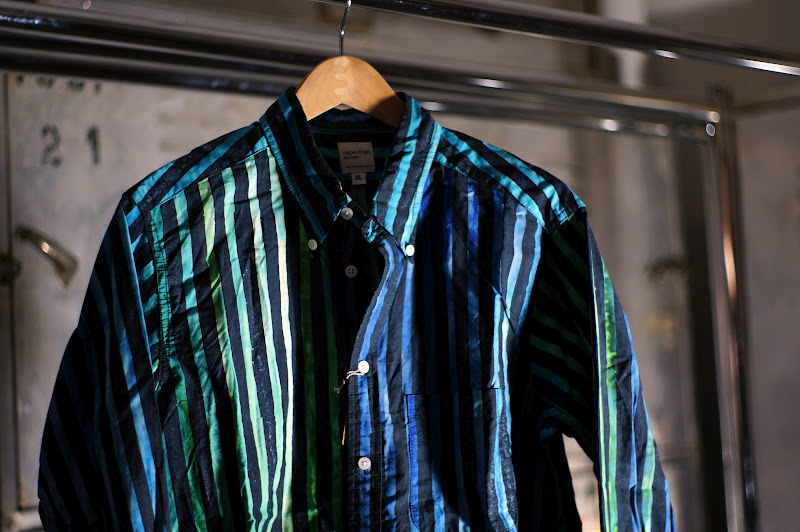 The fabric is created using a Batik printing technique that ensures that no two stripes are alike; making each shirt unique. 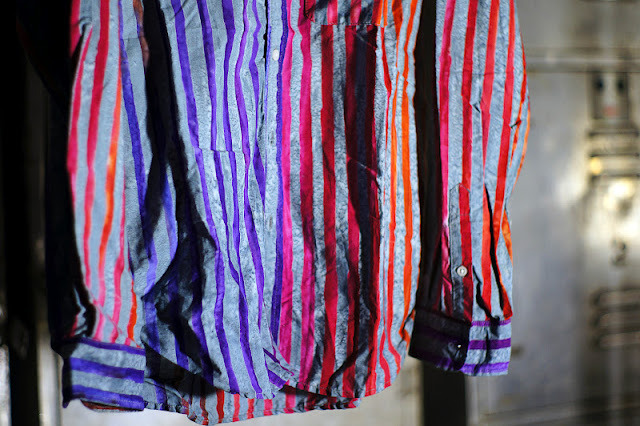 The loop (locker loop, fairy loop, fruit loop) found on the back of the shirt, can be used to hang the shirt when a hanger is not available but during our research on this particular item we learned that when a girl liked a boy she would rip his loop off to show that she was interested... 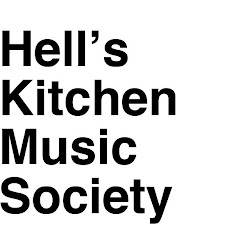 Either way it's a fun detail.